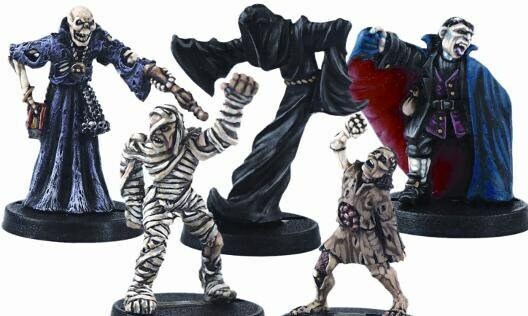 Contains 5 beautifully painted undead miniatures. All you need to do is fix them to their bases, which are included in the set, and you're ready to game. Also included are 5 color-coded D20, exclusive to this set. Due to delays in receiving Crystal Caste products, a lead time of six to eight weeks is expected at minimum.